This course teaches the basic duties a Range Safety Officer performs. It provides a thorough introduction to: the role of Range Safety Officers (RSOs); range Standard Operating Procedures (SOP); range safety briefings; range inspections and rules; emergency procedures; and how to clear firearm stoppages and correct malfunctions. 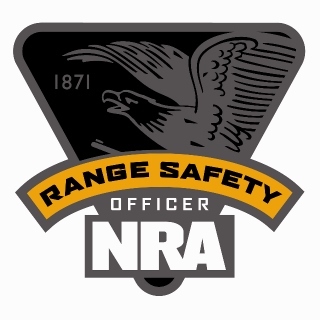 The skills acquired in this course require regular practice which should initially take place under the supervision of a qualified individual - such as an NRA Chief Range Safety Officer (CRSO). LENGTH OF COURSE: 9 hours. The course length may vary depending on the instructor/students ratio and the participant's abilities.